Schültke GmbH is a family business and market leader in selling Rayco stump grinders throughout the whole of Germany. By joining forces Schültke can facilitate the German market even better and provide optimum service. From North Rhine-Westphalia (Sundern) we are strategically positioned to easily facilitate sales, service and parts. 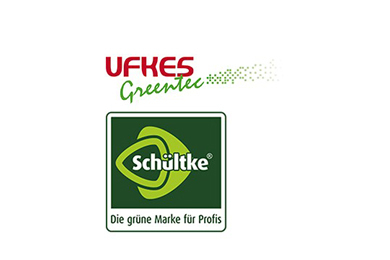 As extension of Ufkes Greentec b.v. our employees can always be informed about the newest developments and trained to provide the best customer support. Schültke GmbH is excited to get the opportunity to continue expanding the company and its team. The acquisition matches our ambitions for further growth in Germany. Ufkes Greentec b.v. has been the market leader for PTO driven and built on stump grinder for years. Together with the wide range of Rayco self propelled stump grinders the target is now provide the right machine for all customers. With a professional range of Greentec wood chippers, Greentec Forestcutters and Greentec stump grinders, together with Rayco stump grinders, Schültke Ufkes Greentec GmbH now offers the complete range for forestry, authorities and landscapers. Greentec machines are widely deployed in Germany and are recognized for their robust built, high-tec control, easy maintenance and customized solutions. From the compact, 30 cm infeed, crane fed, car towed chipper up to machines with 600 HP.